We recently celebrated the birthday of one of our best friends! 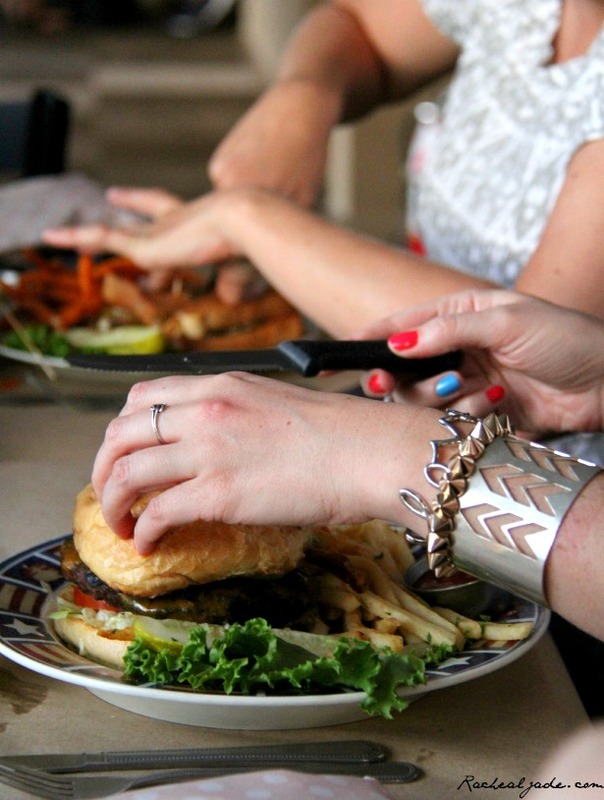 We met up with friends at a restaurant downtown – Old Towne Grille – for some catching up and a delicious meal. Only the birthday boy had been there before, but we trusted him! Once our drinks came, we were hooked. 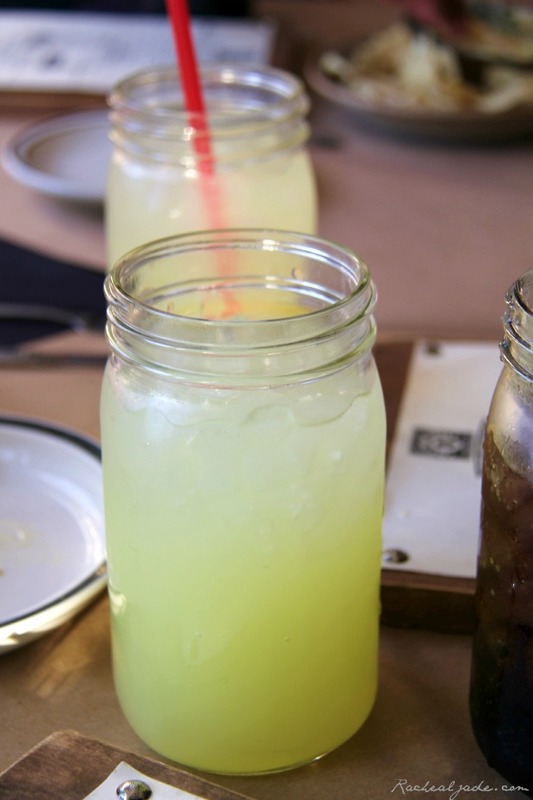 It was the most outstanding lemonade! Perfect for the hot summer day. The popular use of the Mason jar fit in quite nicely with the ambiance. We chatted for about two hours until we were caught up on each other’s lives. After several hugs and laughs, it was time to leave (never my favorite party). We promised to do it again very soon of course! I absolutely loved every minute of seeing these wonderful people. P.S. Aren’t those bracelets perfect with each other? My friend always has the best jewelry. 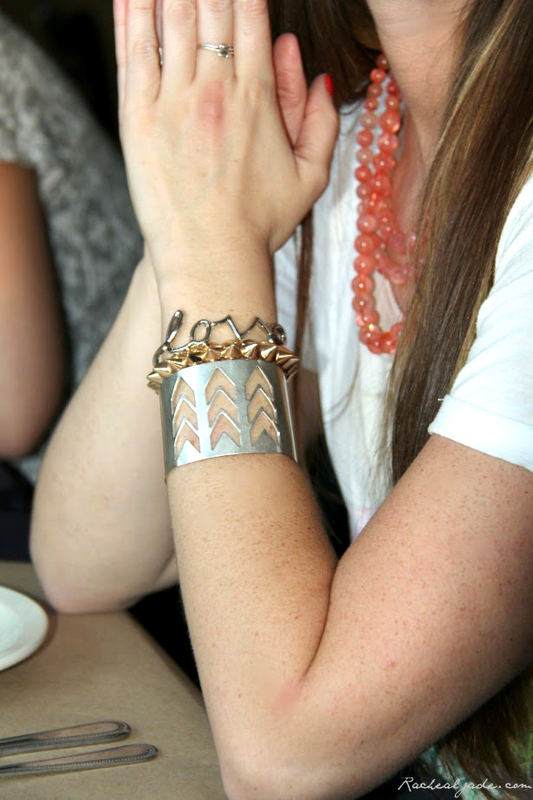 The adorable ‘Love’ bracelet is my favorite and perfectly priced, but I do have the spiked bracelet and it truly does go with almost anything.You can check out her talented, artistic side here. Have the most marvelous weekend. Happy Monday, friends! We did something pretty fun for dinner yesterday and I thought I’d share! So, when we were living in London, we were a bit obsessed with a few things: walking along South Bank, the West End, jogging through Putney Heath and of course, Nando’s. It was our go-to weekday dinner date because it was so easy and laid back and well, delicious. 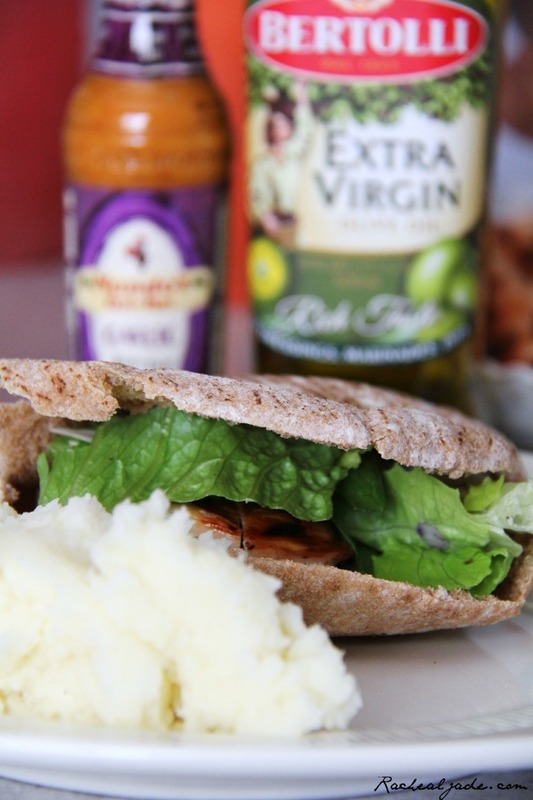 Yesterday evening we decided to re-create our favorite menu item: chicken breast pittas! It was extremely easy and we also made a bit of creamy mash on the side. 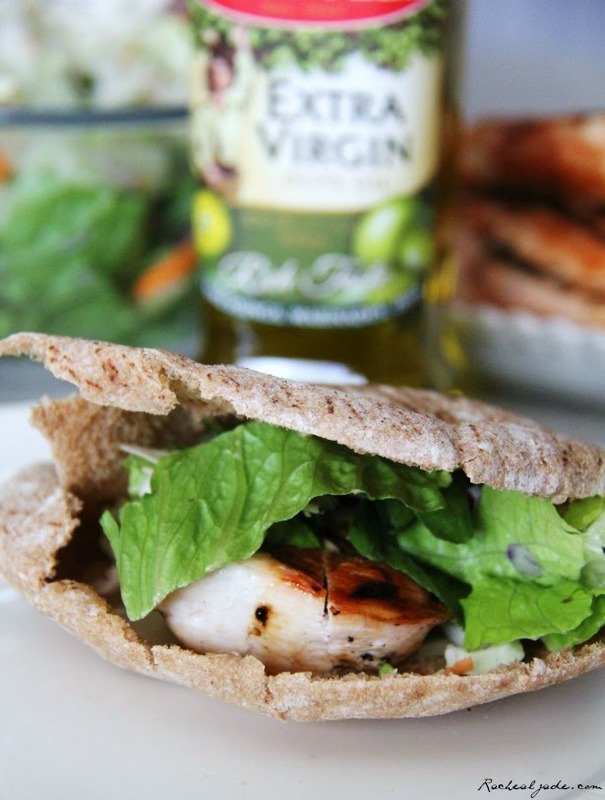 All you need for each pitta is a pita pocket, grilled chicken breast, a slice of your favorite cheese (we used provolone), a bit of lettuce and whatever veggies you’d like to add! YUM. Thanks to my lovely sis-in-law we even had the delicious PERi-PERi sauce from Nando’s! It was the perfect addition. Not a big fan of spicy? 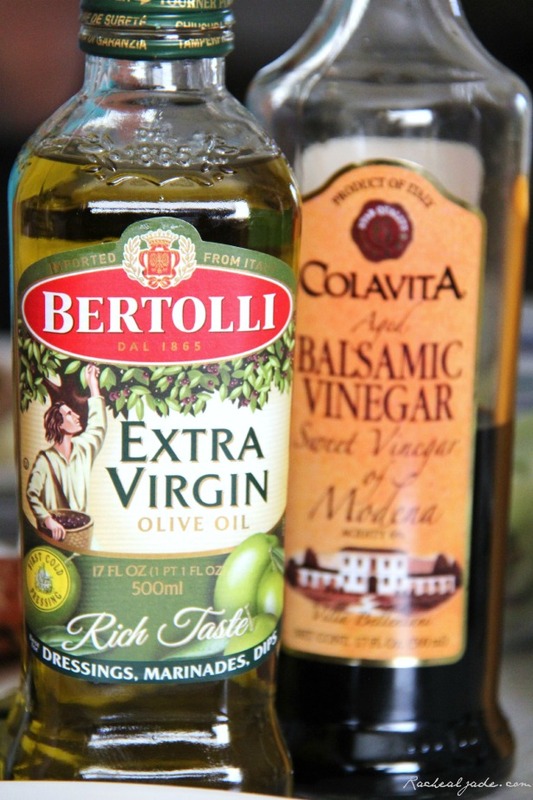 I always use extra virgin olive oil and our favorite Italian balsamic vinegar. It’s my favorite! I hope you get to try this awesome dinner! Have a great week! P.S. 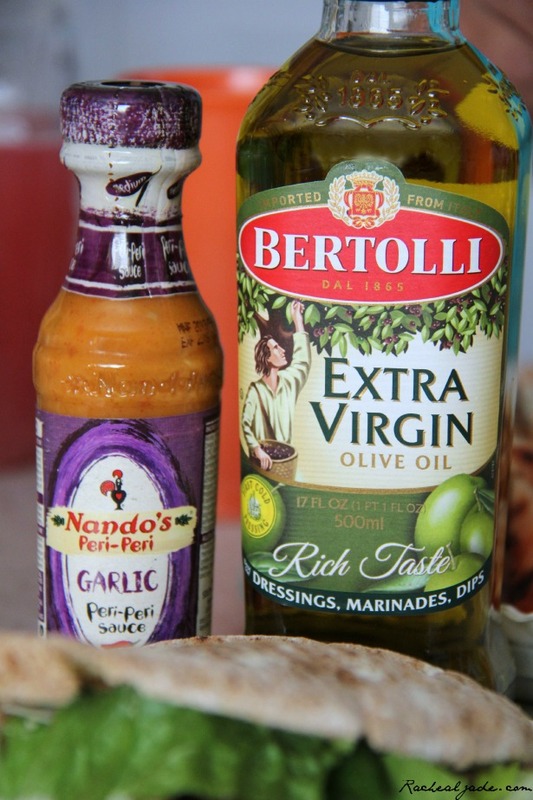 You can order PERi-PERi sauce online from Nando’s or get great recipe ideas too!